We offer a full range of property management services tailored to you as an investor, homeowner, or landlord. We have an extensive porfolio of single family homes, townhouses, condos, and apartments in the Charlotte area. Contract rates with various newspapers enable us to advertise your property to its target market. We will make marketing recommendations and advise you which campaigns are working. We use other advertising avenues, such as radio, TV and internet, to obtain maximum marketing coverage. In order to attract tenants quickly, we advertise vacant properties through our immense marketing network. This network includes daily advertising print; email campaigns, website advertising and location signage. We use the services of Online Rental Exchange, a nationally known credit-reporting agency, to ensure that each tenant has a good credit, criminal and eviction history. References from prior landlords and verified income and/or employment are other ways that qualified tenants are selected. 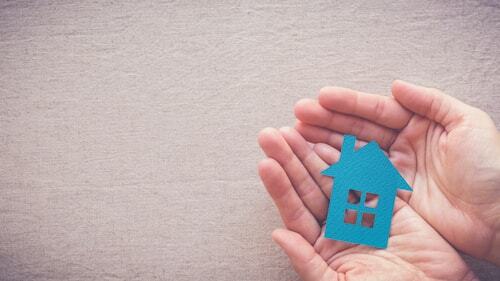 We adhere to the policies set forth by HUD, Fair Housing and the Equal Opportunity Act to ensure that no one is wrongly discriminated against in the selection of a client or tenant. We collect rent every month and deposit it instantly into your bank account. Our team is here to enforce late fees and other lease terms if necessary. Rent is due and payable on the first day of each month and is delinquent if not received by the fifth of the month. The tenant is automatically provided a delinquency notice. If the delinquency is not cleared by the 10th of the month, the tenant is provided an eviction notice. Though very rare, eviction proceedings are overseen by the Property Manager. Prior to moving-in, the tenant must pay their security deposit with certified funds, money order, cashier’s check or bank check, equivalent to the first month’s rent, or project stipulation, to be held in a trust account by law. Rent payments that are received after the 5th of the month will be assessed a 10% late fee, unless project regulations prohibit collecting late fees. Dynasty Asset Management & Sales provides a wide range of Real Estate services to our owners and investors. Our clients range from individual property owners to small and large investors looking for above average returns on their investment. Whatever our clients particular needs are, our brokers will find strategies and solutions that truly fit their need. Our professionals are committed to exceeding the expectations of our clients and to providing the highest level of service. The additional benefit of having Dynasty Asset Management & Sales broker your next investment property is having a qualified Property Management Company on board from the onset of your investment. Dynasty Property Management & Sales LLC is aware of the importance of effective management for the success of a housing development, condo or townhouse community. Success will be measured both in the capability of the project to be self-sufficient financially and by the ability of management to develop a strong relationship with the Tenants. When an issue arises, our network of experienced contractors is here to help. You’ll be instantly notified when a new issue arises, and can track updates, photos, and invoices in real-time. We obtain professional advice from our insurance brokers, ensuring a full understanding of the contractual aspects of the proposal. We obtain the best rates in the market for most comprehensive contracts. Thorough, periodic inspections are conducted on each property under management. We complete both move in/out inspections to ensure that any discrepancies that arise are accounted for and immediately resolved. Any tenant damage will be charged to the tenant through their security deposit at move-out. Our team responds to tenant inquiries and emergencies with 24/7 support. In the rare instances when they’re necessary, we handle evictions and other legal necessities as well. Someone from our staff is available around the clock to handle all emergencies. Whether your real estate investments are in one city or cover many states, we know how to position your properties in the local market to increase its value. With years of experience and comprehensive management expertise, we will enhance the value of your assets and make the most of your portfolio. Our properties remain 100% occupied due to our extensive outreach efforts. "The Dynasty Team is just awesome, my home has been in good hands for the last 4 years"
"We turned our units over to Michael and his staff two years ago, best decision ever. Our last management company were only concerned with collecting fees!" "They really do go the extra mile." "We contracted the Dynasty Team to lease up our office space, 14 offices in the Arbor Professional Center, what an awesome job they are doing."